Increasing awareness in your target market of your business and services used to be the exclusive privilege of the big home building companies—those who could afford to spend thousands of dollars on mainstream advertising, publicity and promotional activities. Thanks to the arrival of social media marketing, even the smallest one-man contracting firm can promote on an equal footing with competitors. How to Raise Awareness: Create a social media profile of your own. You’ll need this to set up your Facebook business page, which is crucial to being able to build a community on the site and have an audience to whom you can promote your company. 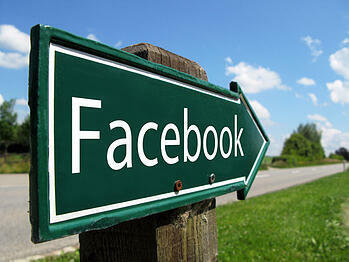 Run some Facebook ads initially to boost your following. These work on a pay-per-Like basis, which means you get charged only for the ads that actually convert into Likes for your page. That’s Facebook-speak for followers. You can set a budget of as little as $5 a day and run the ad for as long—or as short—a time as you like, pausing or cancelling it with a click of your mouse. Social media without a functional, up-to-date website is like a cart without a horse. At the same time, a website without traffic is pretty useless. Drive traffic to your home builder website by sharing items selectively on your Facebook page for your followers to view. Traffic driving posts include photos, videos and other visual content. How to Market Your Website: Create a website that has the ability to publish fresh content, such as an articles, education or blog section. Post fresh information regularly on the site, and then share the link on your Facebook page so your followers on social media marketing know you’ve published something new. They’ll click through to your site and read the material, which helps boost your traffic as well as keeping them notified whenever you have something to view. Engaging your current and prospective customers is the best way to build up your reputation and reach new target markets. With a customer engagement strategy and an active Facebook page, you can find ways to get your followers involved with your home building business. Running competitions and lucky draws on your page, for readers who send it the best Before-and-After video of their home renovation, or those who correctly answer a question about remodelling issues. Offering special promotions and discounts for anyone who registers from your page. Building an email marketing list from a subscription option on the page. Sharing photos of your various home building projects for readers to view and comment on. You an also use your Facebook page to collect customer testimonials and reviews that you can use in your other marketing activities creating client engagement as well. How often have your competitors’ clients come to you saying their former contractor never bothered to respond to their queries and complaints? Don’t let that happen to your business! Use your Facebook page as a customer service center where dissatisfied clients can post their issues publicly (you’ve got nothing to hide, right?) and you can respond openly so everyone reading it can see how you deal with it. Firstly, it reduces the client’s level of frustration if he has somewhere to let off steam right away instead of struggling for weeks to get hold of you; second, it takes the “he said, she said” aspect out of the equation because everyone can see how you respond and nobody can make allegations about your service that aren’t 100% accurate. Use social media marketing as a platform on which you, too, can be a giant and create a home building brand that impacts sales.